To some, February 2nd is a time to trust the wisdom of a shadow-spotting rodent who makes vague predictions about the severity of winter. To others, it’s an annual excuse to watch Bill Murray’s Groundhog Day, again. But if you’re short on time this year, Neil Fennell has made a shorter half-hour version of the film where each repeating day plays out at the same time. Neil’s condensed version of Groundhog Day lets fans of the film compare how Phil Connors’ (Bill Murray’s character) fateful February 2nd plays out 37 different times. 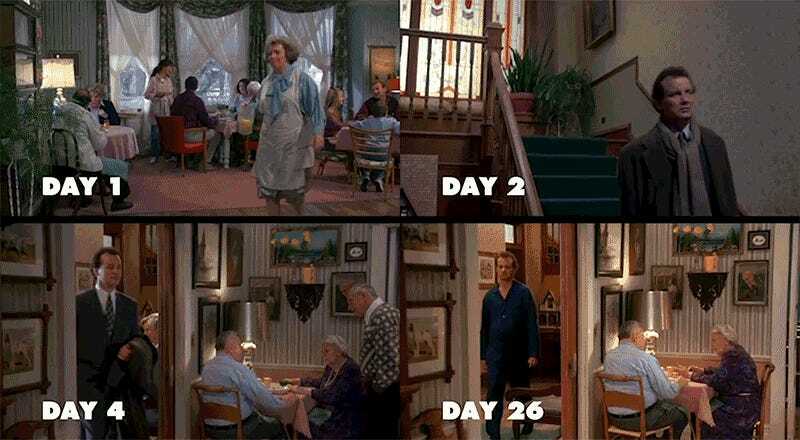 It uses every last frame of the original movie set side-by-side, so the timing for each day is perfectly aligned. You probably didn’t need a reason to watch Groundhog Day again, but now you’ve got an especially good excuse to leave work early tomorrow.